Final Secret was developed after it was noticed that there were no feed additives available that were "species specific". After working with experts in muscle physiology, exercise physiology, muscle fiber growth response, personal trainers for human athletes, and old recipes that the founders had used for over 40 years, several formulas were developed and tested on animals for over four years. Today, the formulas are made with some very special and unique protein sources that are uncommon in modern show feeds. Modern science and research has allowed Final Secret Products to lead the industry with new and innovative products that are available from no other manufacturer. Final Secret's scientifically-advanced feed additives are designed for pigs, lambs, goats, cattle and other animals. Our specially-blended formulas are naturally occurring and are made of high protein and fat additives that will give your show animals extra energy and enhance lean muscle deposition to help give your animals that winning edge. 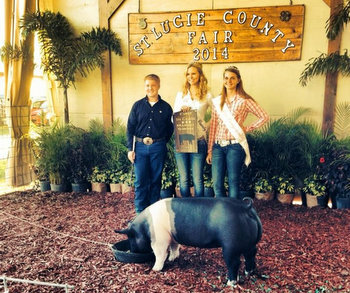 Get the advantage in the show ring with Final Secret Products!